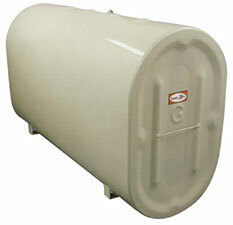 If you need to replace your fuel storage tanks, look no further than the local experts. With many years of experience, Smith can help you choose the right tank for you needs and your budget. There’s no such thing as one-size-fits all when it comes to fuel storage tanks. A range of variables affects your choice, including the size and location of your home, placement of the tank, fuel type and usage. Our team of pros can evaluate your needs and help determine the right fuel storage solution for your home and your budget. Our selection of tanks represents our years of experience and first-hand knowledge of value and quality for the typical home in the area. Smith Propane & Oil’s technicians have many years of experience installing all types of fuel tanks—both heating oil and propane. We’ll make sure your tanks are installed safely and correctly, with a minimum of hassle or disruption. Contact us today for more information about fuel tank prices and installations.